There may be days when you get up in the morning and things aren’t the way you had hoped they would be.That’s when you have to tell yourself that things will get better. 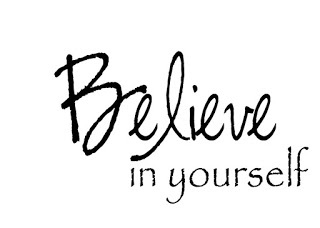 There are times when people disappoint you and let you down.But those are the times when you must remind yourself to trust your own judgments and opinions, to keep your life focused on believing in yourself. 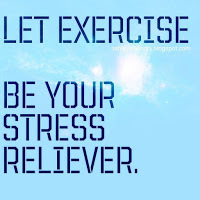 Exercise in almost any form can act as a stress reliever. It won’t make your stress disappear but being active can definitely boost your feel good endorphin and take you away from your daily worries. So be it a 40 minutes of brisk walking, yoga , aerobics or some laps in the pool you will find that you have forgotten the day’s irritation and concentrating on your body. The results are – energy, optimism, calm mind and fit body. A problem shared is a problem halved. 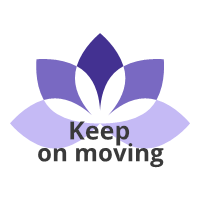 A good support network of colleagues, friends and family can ease your work troubles and help you see in a different way. If you don’t connect with people, you won’t have support to turn to when you need help. The activities we do with friends help us relax and we often have a good laugh with them., which is an excellent stress reliever And may be your friends or collegues can also help you out with some solutions to your problems. Don’t rely on alcohol, smoking and caffeine as your ways of coping. This will not help you to relieve any stress in fact it will create new problems. It might provide temporary relief but it won’t make the problems disappear. Drink plenty of water and eat healthy small nutritious means. Hunger and dehydration provokes anxiety and stress. So stay fit and healthy. Look for positives in life and things for which you are grateful. Write down three things at the end of everyday which went well and for which you are grateful. People don’t always appreciate what they have. They always tend to crib and complain about everything. Make a conscious effort to train yourself to be more positive about life. Change your perspective and you will be able to see your situation from a more positive point of view. Rewards like taking a hot water bath or half an hour of reading a good book or even watching your favorite T.V show helps. So basically I am talking about some ME time. Put aside work , housekeeping and family concerns for brief period before bed time. Don’t spend this time planning for the next day or doing house chores. Remember you need time to recharge and energize yourself. You will be much prepared to face the next day. So take control of the situation you are in and say goodbye to stress.